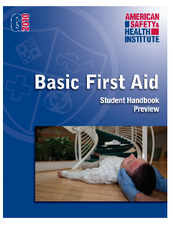 Basic First Aid - BFA is a classroom, video-based, instructor-led course from ASHI that teaches students basic first aid knowledge, skills, and the confidence to respond to emergencies. This course is an excellent choice for both the community and the workplace setting, and is consistent with the recommendations of the 2010 National First Aid Science Advisory Board and OSHA's best practices for first aid training programs in the work place. 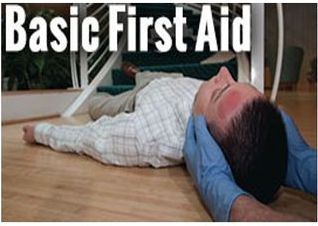 AUDIENCE: This course is for individuals who require or desire the elementary first aid knowledge and skills, including emergency response teams in business and industry, school bus drivers, adult residential care personnel who needs a completion card in order to meet certain job, regulatory, or other requirements. This course is DOES NOT teach CPR, if you are not a Healthcare professional see our ASHI CPR course. COURSE FORMAT: This course is classroom-based which includes instructor, video, and skills interaction throughout the course. The course is approximately 4 hours in length. CERTIFICATIONS: Upon completion of this course, students receive a ASHI Digital Certification Basic First Aid completion card. If you prefer a traditional card, there is an additional $5.00 charge to the class cost. Certification cards are valid for 2 years.